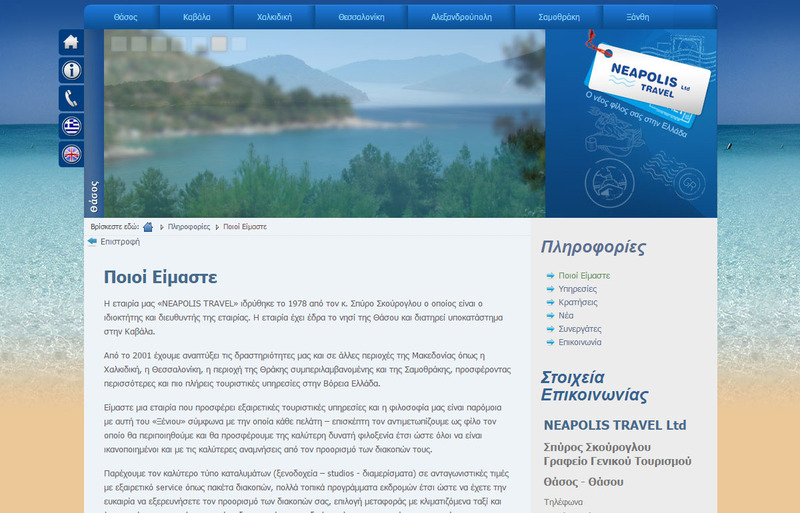 The company "NEAPOLIS TRAVEL" offers complete tourist services in Northern Greece since 1978. 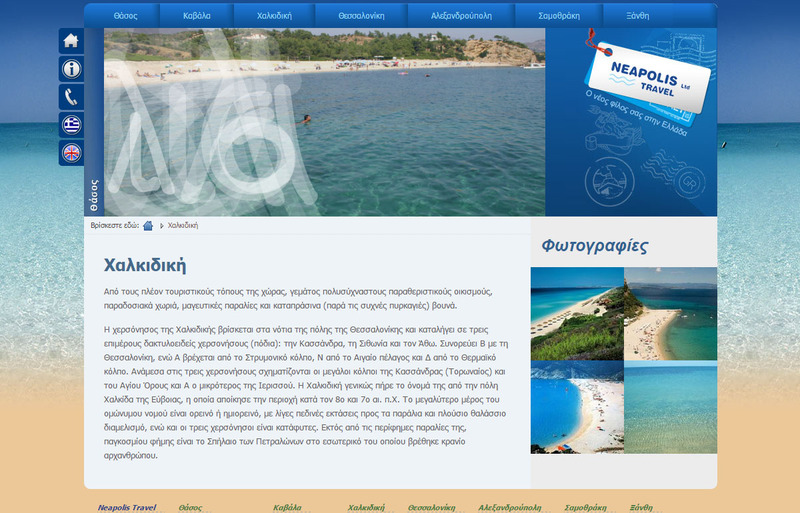 Display and sale services provided by the cooperating tourism businesses. Promotion of integrated tourist packages offers. Designs and colors inspired by the turquoise Aegean waters. 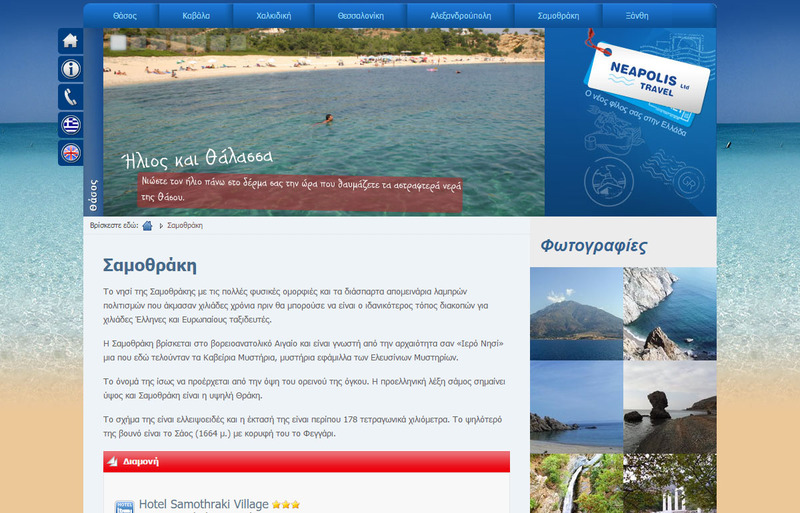 Detailed list of all the tourism services, providing the option of buying interest. Site support from a powerful and easy-to-use content management system.